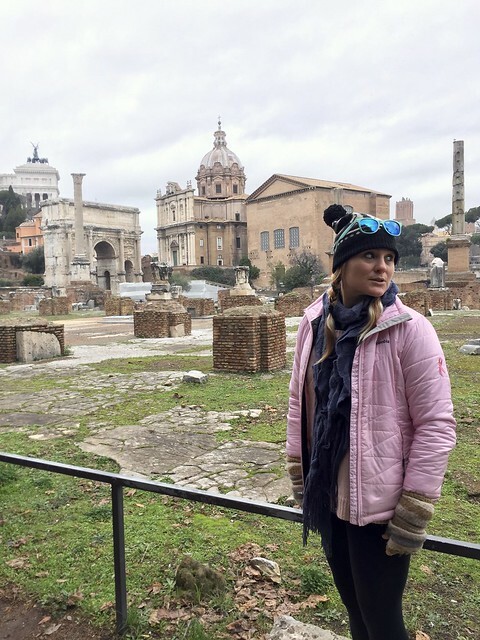 Shadowed by the glory of its neighbor, and overlooked by tourists, The Roman Forum and Palatine Hill is a MUST! 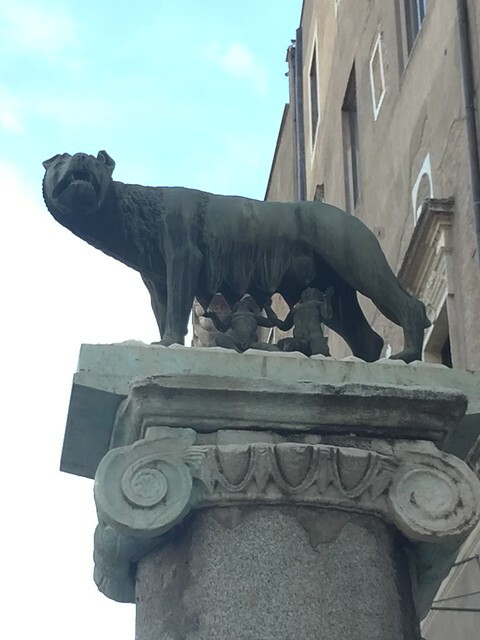 This city of ruins was once the home of emperors and the site of temples as well as the center of Rome’s most important myth: the legend of Romulus and Remus. In Roman mythology, Romulus and his twin brother Remus were the children of Rhea Silvia and Mars (or in some variations Hercules). A Vestal Virgin betraying her vows of celibacy, Rhea was sentenced to death with her twins. She was buried alive but Romulus and Remus were given pity and instead put in a basket and sent down the River Tiber. Discovered and raised by a she-wolf (and later a shepherd and his wife), Rom and Rem are best known for being the founders of the city of Rome. Long story short, they set out to find their own city. Romulus wished to start the city on the Palatine Hill (pictured above), while Remus wished to found it on the Aventine Hill. In order to settle their disagreement, they agreed to consult augury; augury is a type of prophecy in which birds are examined and observed to determine what actions or persons the gods favour. Each brother prepared a sacred space on their respective hills and began to watch for birds. Remus claimed to have seen six birds, while Romulus said he saw twelve birds. Romulus asserted that he was the clear winner by six birds, but Remus argued that since he saw his six birds first, he had won. 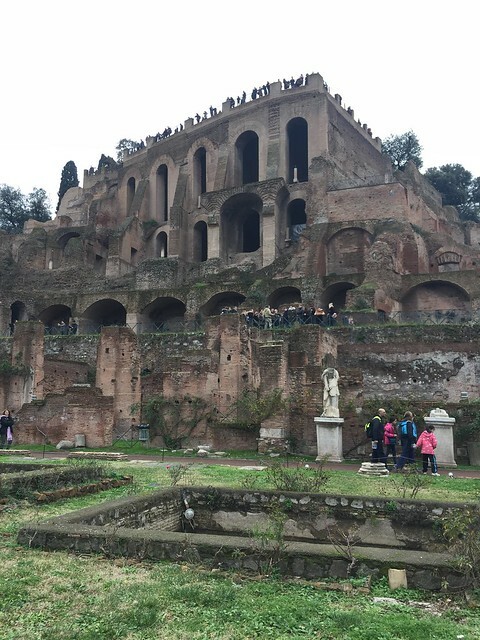 The brothers remained at a standstill and continued to quarrel until Romulus began to dig trenches and build walls around his hill: the Palatine Hill. Romulus named his city Roma after himself. Over time, wars, neglect and the fall of the Roman empire, the buildings lost their importance, materials were pillaged for other construction, and what remains today is sort of a boneyard of history. Broken unidentified stones, thousands of years of history; bloodshed, ambition, power, pain, sacrifice and heartache... Julius Caesar could have been murdered right where we stood and we would have never known. The Arch of Titus, Basilica of Maxentius, Temple of Venus and Rome, Tempel of Antonino and Faustina, Temple of Caesar, Temple of Vestia, Temple of Castor and Pollux, Arch of Severus, Curia, Temple of Saturn, Temple of Vespasian and Titus, Via Sacra, Palantine Museum, House of Augustus and Livia, Forum of Caesar and Temple of Venus Genitrix, Temple of Mars Ulter, Forum of Augustus. We recommend you get the audioguide ~ we didn't ~ and we regretted it. There are plenty of signs to read but some have worn over time leaving them difficult to read and they don't give much information. 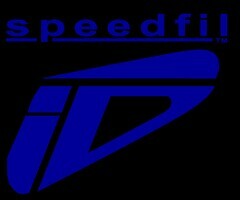 If you want to appreciate what your looking at, AUDIOGUIDE it! 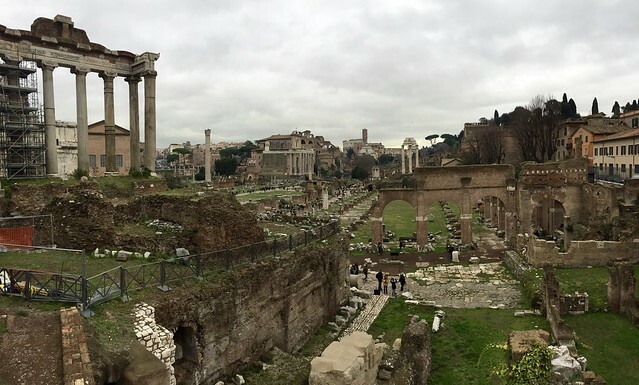 You can also look through my The Roman Forum photo album on Facebook!! It includes random shots around the The Roman Forum (although, lacking descriptions). 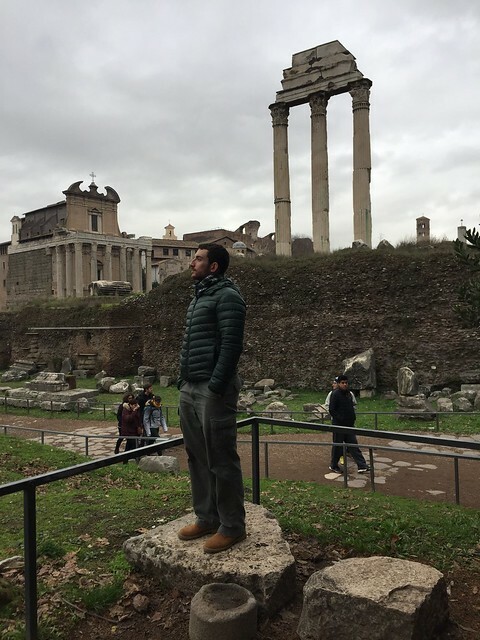 If you are dying to find out more, this guy blogs a great visit at The Roman Forum as well! !